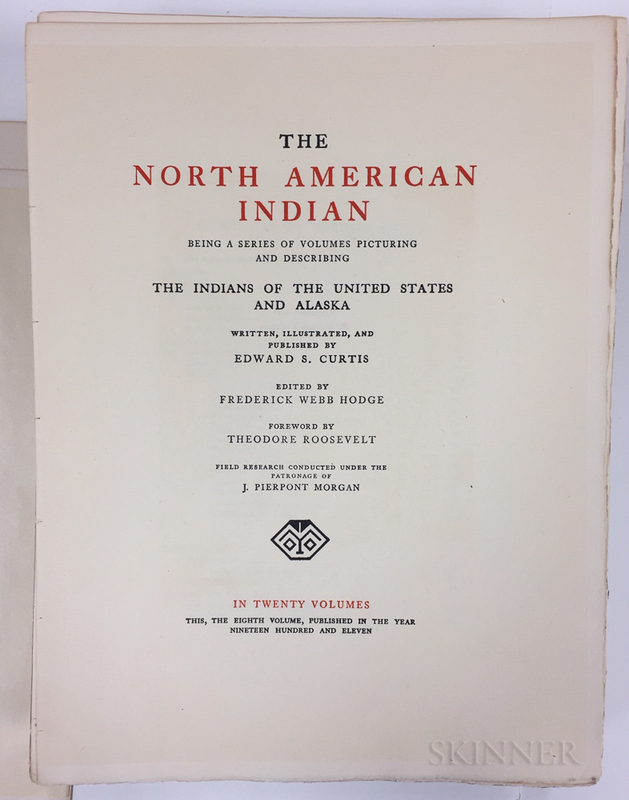 Curtis, Edward S. (1868-1952) The North American Indian, Volume Eight. Curtis, Edward S. (1868-1952) The North American Indian, Volume Eight. Curtis, Edward S. (1868-1952) The North American Indian, Volume Eight. 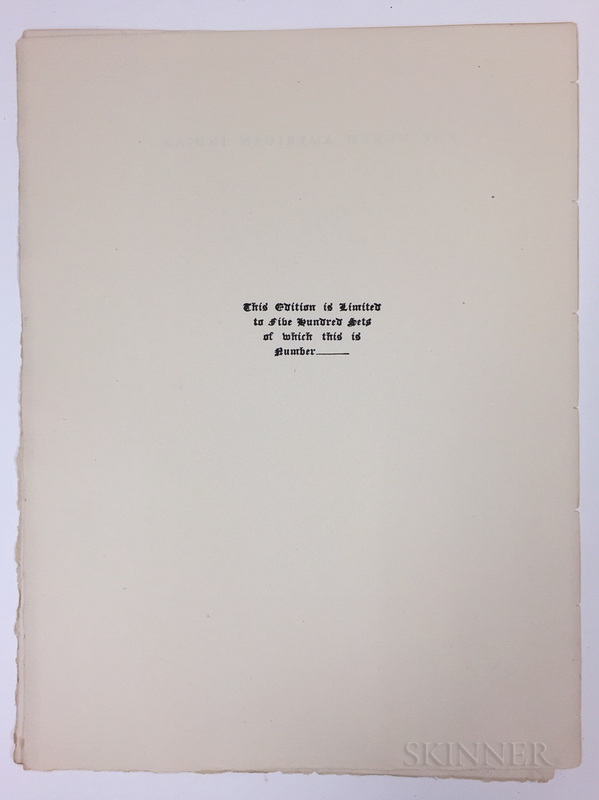 Curtis, Edward S. (1868-1952) The North American Indian, Volume Eight. 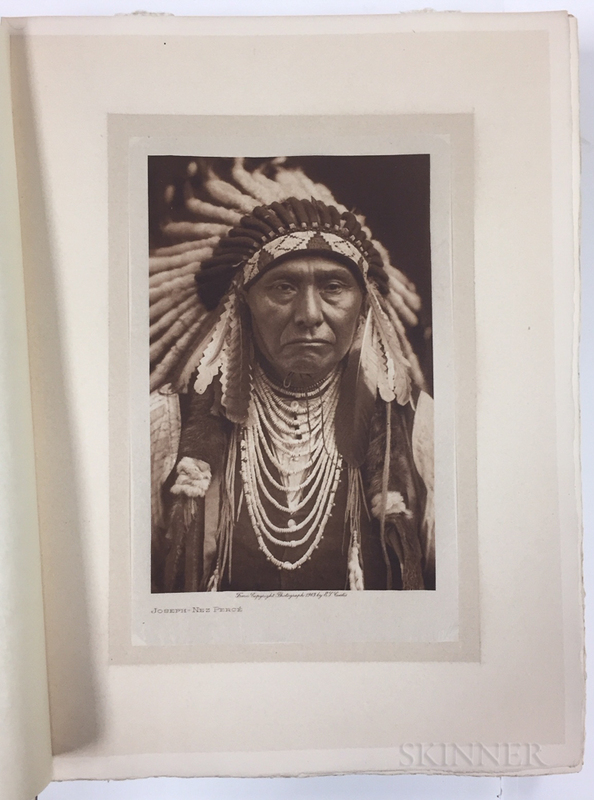 Curtis, Edward S. (1868-1952) The North American Indian, Volume Eight. 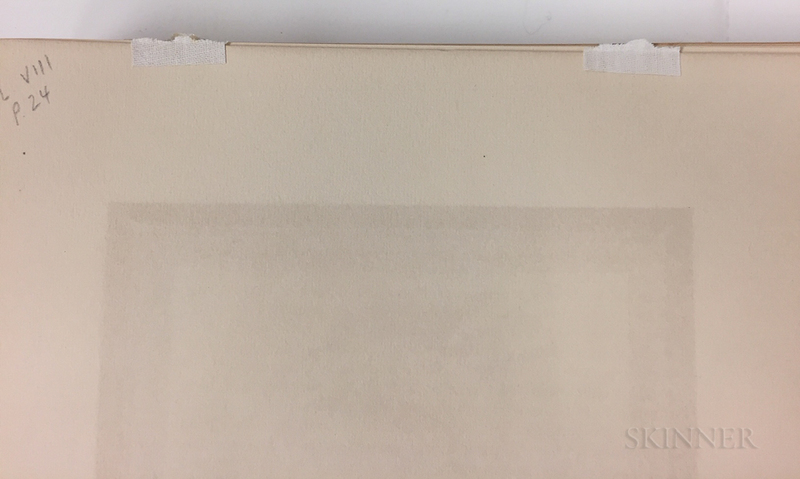 Curtis, Edward S. (1868-1952) The North American Indian, Volume Eight. Curtis, Edward S. (1868-1952) The North American Indian, Volume Eight. 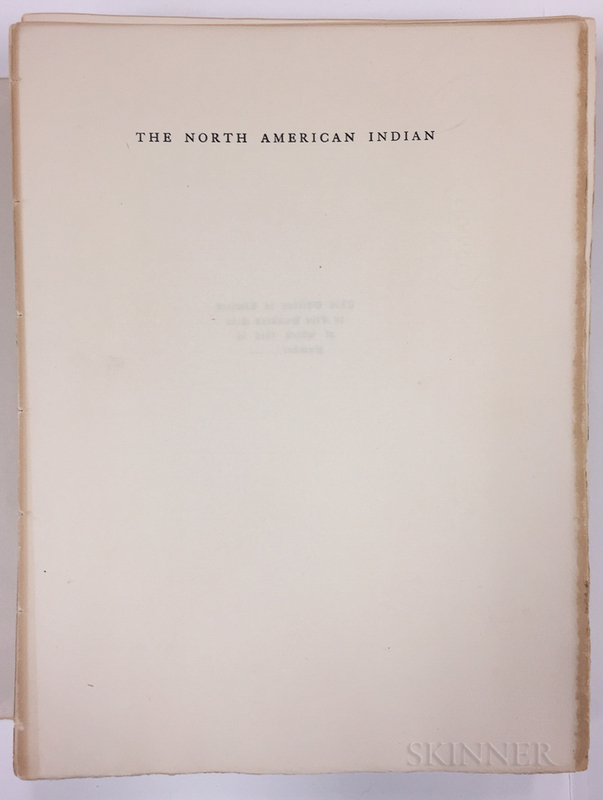 Curtis, Edward S. (1868-1952) The North American Indian, Volume Eight. Norwood, MA: The Plimpton Press, 1911. Folio format limited edition unnumbered out of series volume, disbound (never bound), photogravure illustrations printed on Japanese gampi tissue (four plates formerly matted, each with two small pieces of linen mounts still attached), some toning to outer endleaf sheets, one corner bumped; covering the Nez Perce [Nimiipuu], Walla Walla [Waluulapam], Umatilla, Cayuse, and Chinookan Peoples; 12 1/2 x 9 3/4 in.